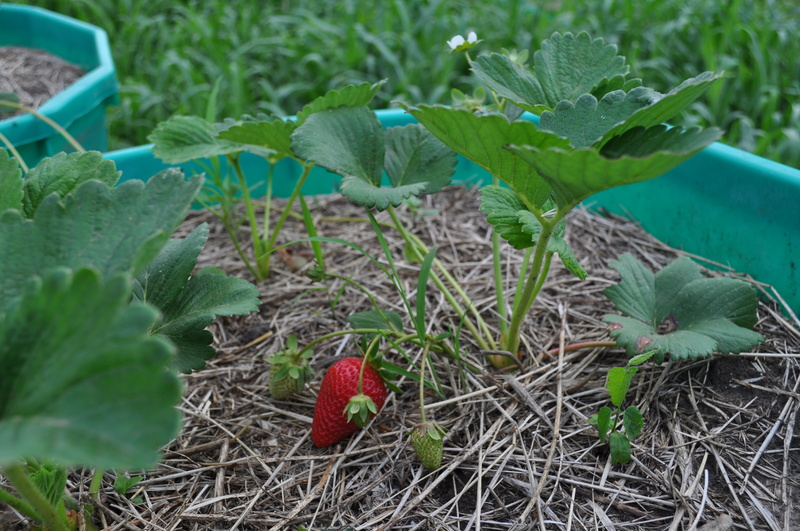 We planted 100 new strawberry plants this spring, all in raised tubs, so they are just the right height for picking! Right now, we are getting a couple of big, fat, juicy strawberries each day. Hopefully we will have enough in a week or so to share at market, but it might be a little lean this year. Especially with a three year old around who loooooves berries. 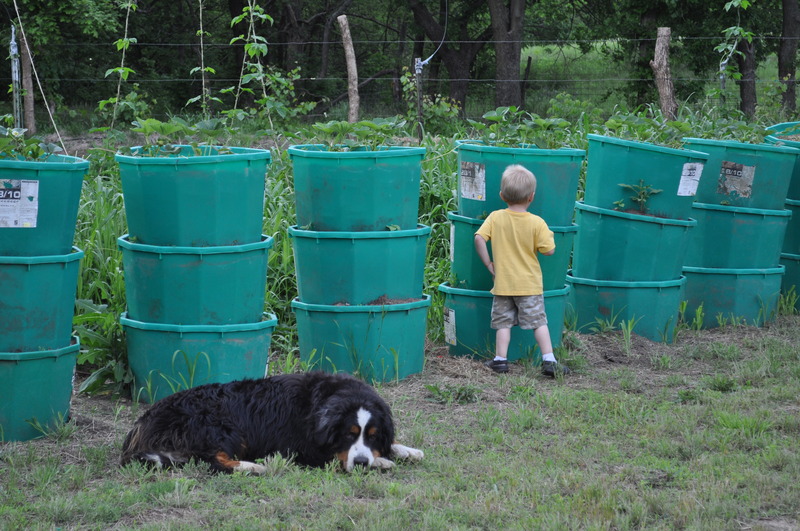 I guess I should specify they are the perfect picking height for grown-ups … sorry buddy!